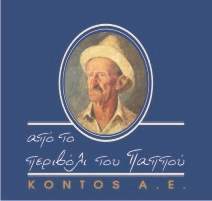 The firm E. & D. Kontos S.A. was founded in 1986 trading dried and fresh products mainly, such as the renowned white figs from the North of the island of Evia, which have been known and cultivated since the ancient times and are famous for their sweet flavor and softness. As time goes, market needs have increased and our company relying on our past experience and our qualified staff has created a modern, sophisticated assembly line with carefully selected first matter. We offer excellent quality because we have a philosophy based on the pursuing improvement of the product. Our products can all be found in selected stores and major supermarkets throughout Greece and worldwide.